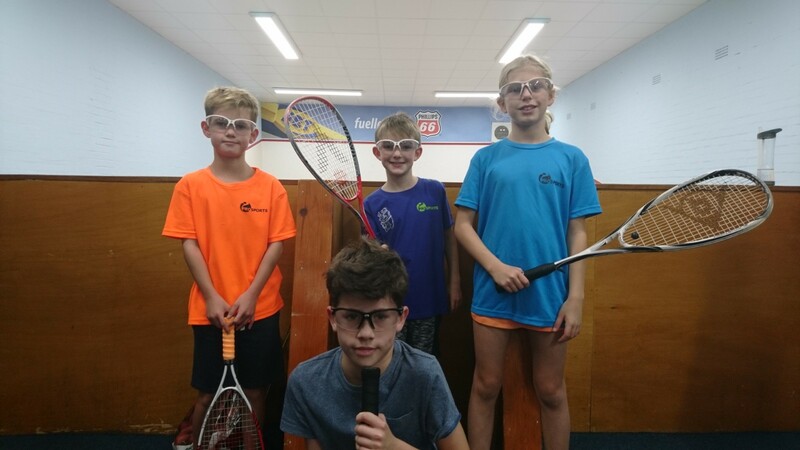 This season has seen the relaunch of the Warwickshire Junior Grand Prix Series which has been a great success in poviding a fun and action-packed first taste of competitive squash for many of our Warwickhire juniors. Each tournament only takes 2 hours from start to finish and the players are guaranteed to play between 3 and 6 short matches in this time. 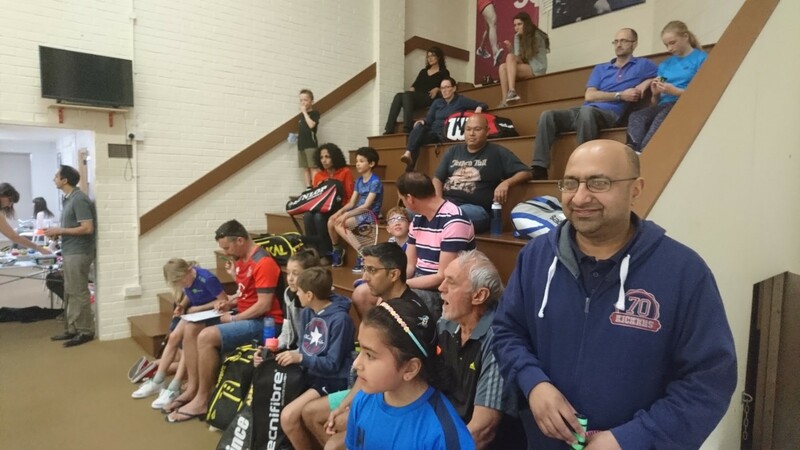 The players have learnt to referee and play under the pressure of having a crowd watching! No time to be disappointed after a loss because you’ll be back on court again in 5 minutes fighting out for your group or final position! Great to see the standard improving over the season with several players suprising the seedings and even themselves. 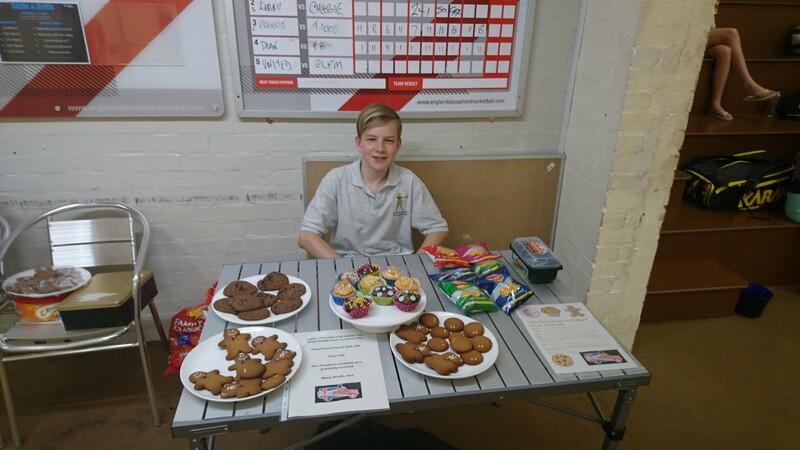 We’ve had entrants from Cleaver, Four Oaks, Kenilworth, Leamington, Solihull Arden, West Warwicks, Stratford, Sutton Coldfield, Edgbaston Priory, David Lloyd Solihull, Old Sils and so far there have been 30+ competitors at each event. You’re likely to play at least a couple of new players! A total of 58 different players took part in the series. 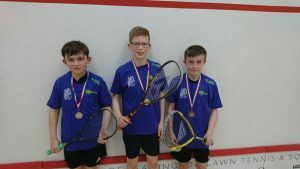 Warwickshire junior squash is certainly on it’s way to becoming one of the stringest counties in the countryand, hopefully, the Grand Prix series can become an integral part of our competition pathway. Things culminated with the 5th event at Kenilworth Squash Club on 20th May 2018 with another 30 competitors taking part. 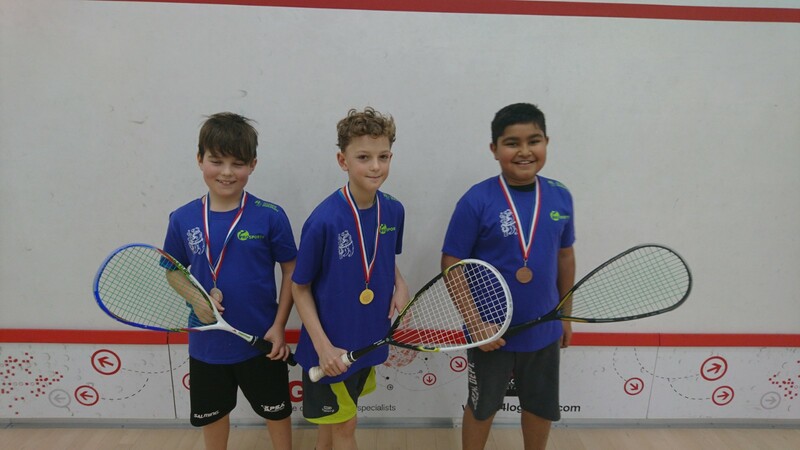 Years 3 & 4 was won on the day by Vinayak Chikermane but, importantly, Samuel Cross finished 2nd meaning that he won the series by just 2 points. (1st is 25 points, 2nd is 20 points, 3rd is 19 points…). 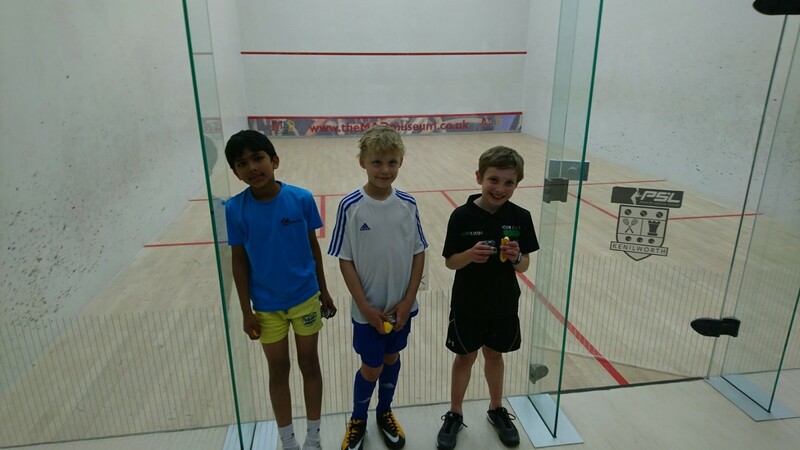 Years 5 & 6 was more clear-cut as Ryan Bennett won his 3rd tournament, despite a strong challenge from Ed Gumbley. 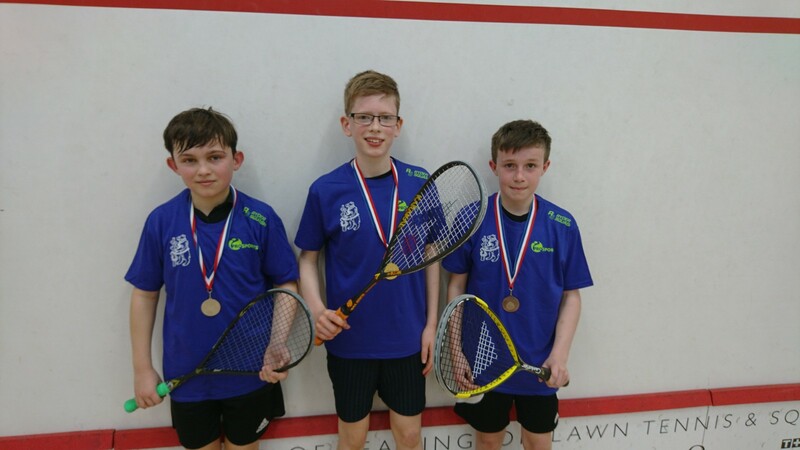 Years 7 & 8 series was won by Sammy Stephenson, also with his 3rd title, in an age group with several competitive players including Matt Stokes, George Goodfellow, Erin Friend and Oeghan Dunnion. 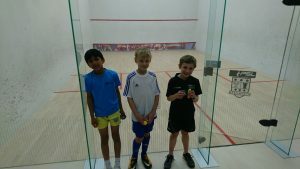 Next year we are looking at improving the tournaments to include older age groups, years 8 and 9 but keep the 2 hour window and flexible format regarding the number of games. 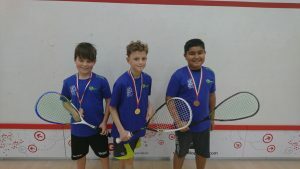 Well done to all players for taking part and thank you to the clubs for hosting, namely Solihull Arden, Leamington Spa, Sutton Coldfield, Edgbaston Priory and Kenilworth. 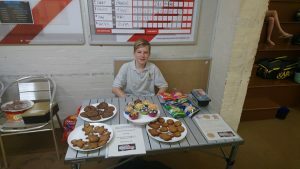 A big thank you to Chris Ryder for all of his hard work running the events this season.